What Do Indianapolis Mayoral Candidates Plan For Local Schools? As Indiana’s capital city and home to the state’s largest public school district, Indianapolis is a hotbed for education policy. That’s why we care about this year’s Indianapolis mayoral election, among others. Since current mayor Greg Ballard is not running for a third term, who is running and what he or she plans to do with the city’s schools matters on both the local and statewide levels. Late last week, Democrat and former U.S. attorney Joe Hogsett made headlines when he announced a five-point plan for education, which he says is the key to solving violence and crime throughout the city. He wants to expand pre-Kindergarten opportunities and address the high childhood poverty rate. He also would like give younger teachers the chance to buy city-owned homes at a discount, as a way to attract talented educators. “I think it’s time that we start being creative in terms of incentivizing teachers,” he said. The program has been tried before — mostly around police officers and firefighters — to limited success. 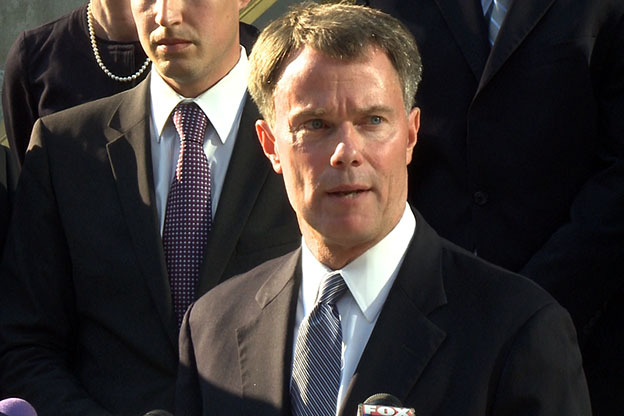 Hogsett’s ideas also include a high school completion and college scholarship program. “The greatest barrier to educational progress in recent years can be found outside the classroom, in parts of our community where students don’t even see college, don’t even think of college as a possibility,” he said. Hogsett would like to replicate a program in Columbus, Indiana that increases tutoring in high schools and offers scholarships to eligible students to state colleges, centered around public-private partnerships. As far as how Hogsett plans to pay for these initiatives, Hogsett For Mayor spokesman Thomas Cook says the vast majority of this plan will require zero additional tax dollars. Hogsett’s Republican challenger, Chuck Brewer, unveiled his own education platform earlier this summer. It also calls for expanded pre-k access, as well as more direct mayoral oversight of the Indianapolis Public Schools district and the creation of a single, simplified enrollment portal for IPS or local charter schools. A few months ago Joe Hogsett wrote a letter publicly opposing Mayor Greg Ballard’s pre-K education plan. In fact, if Joe Hogsett were mayor today, more than 1,000 low income children per year would be missing out on pre-K education. I’ve been consistently committed to pre-K education and I will work to increase support at the statehouse so we can expand access for more families. Cook says he believes the Brewer camp is mischaracterizing Hogsett’s stance, pointing to an op-ed Hogsett wrote in the Indy Star last year. As mentioned earlier, both men are running to replace current Indianapolis Mayor Greg Ballard, a Republican. Under Ballard’s direction, the city has expanded access to pre-k with its own program for low-income families (the Indy Preschool Scholarship Program), in addition to participating in the state’s pilot preschool program, On My Way Pre-K. The mayoral election takes place November 3.